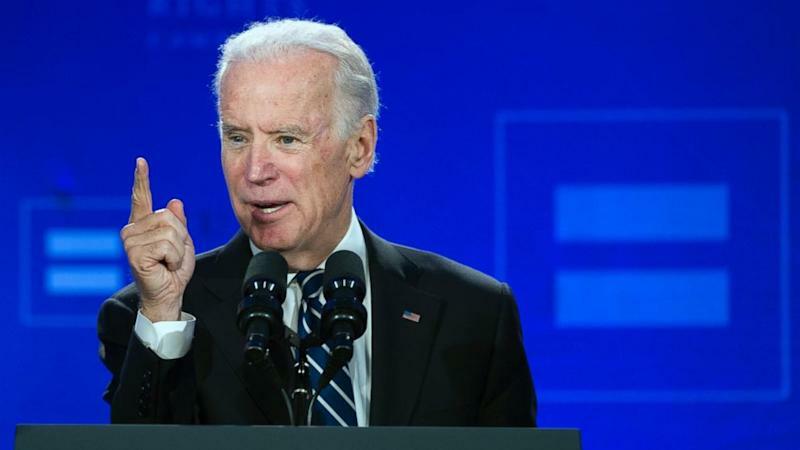 Speaking at a gathering of LGBT rights activists today, Vice President Joe Biden took a swipe at potential Republican presidential candidate Ben Carson for his recent remark that being gay is a choice. “I mean Jesus God. I mean it’s kind of hard to fathom,” Biden told an audience at the Human Rights Campaign spring equality convention in Washington, D.C.
Biden’s comments on Carson got laughs and cheers from the packed room.